According to requirement, our wrapping machines can wrap your product horizontally or vertically. Whichever machine or method you choose, you can always rely on the high Schäfer & Flottmann quality standards. The open design of the machine frames also facilitates good access to all stations. All our machine parts are made from stainless steel or nonrusting materials. 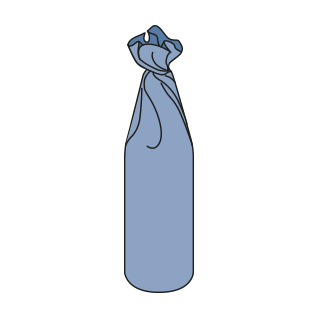 At capacities of up to 12.000 bottles per hour, wrapping is performed horizontally (product lying flat). First, the bottles enter the turning station vertically. From this point, they are moved horizontally onto the conveyor chain. 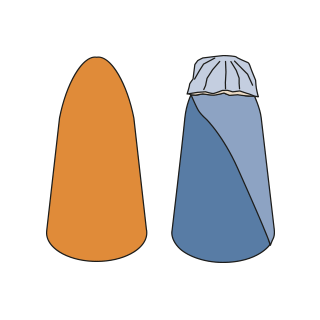 A feeding device with rotating blades transfers the paper or film/foil blanks, with and without index printing, to the bottles and special wrapping mandrel. Tubular wrapping of the bottles, which are fed continuously through the machine, is performed first. Neck and base twisting heads follow the bottles as they move, grab the excess material at the edge and twist it. Alternatively, it is also possible to perform a fold at this point. In the final step, an erecting station carefully returns the bottles to an upright position before they leave the machine fully wrapped. In the medium capacity sector – with an output capacity of 3.000 bottles per hour – the products are moved upright through the machine (vertically). Whether they are bottles, sugar loaves or other hard products to be wrapped, an infeed starwheel performs indexing of the products first.